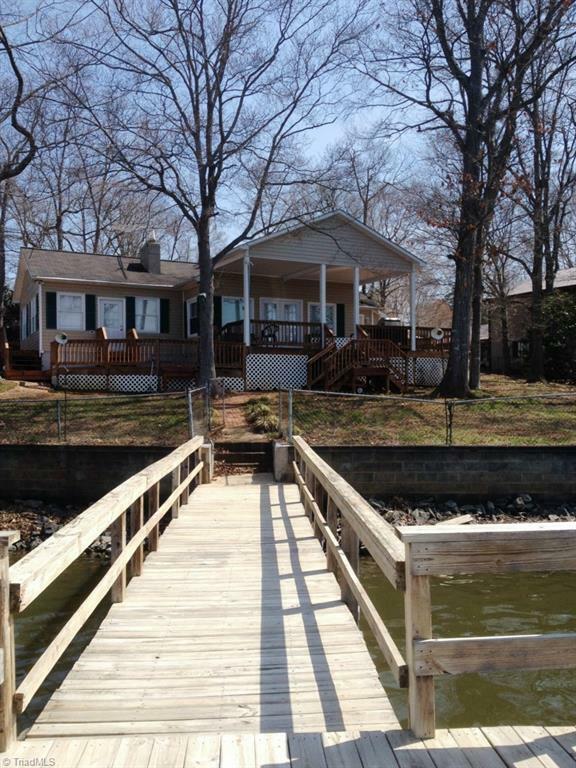 This beautiful property has 180' on deep wide open water with boathouse and 2 piers! The lot is almost level and the house has a lake view from almost every room. Septic is for 2 bedroom but the home is being used as 4 bedrooms. The 2 bonus rooms could be used for whatever your needs may be. The great room, game room and master bedroom all open onto the huge 2 level deck overlooking the lake. Many updates have made this home a must see! All appliances will stay as well as some furnishings.